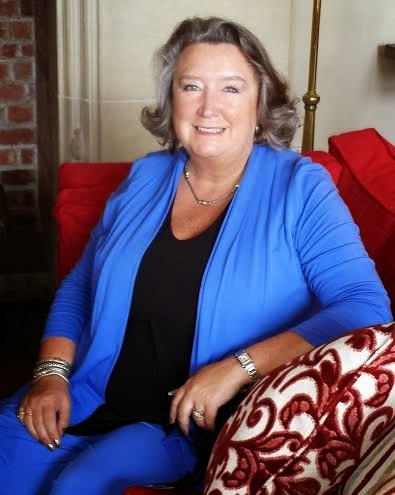 HALLIE EPHRON: Our guest Cathy Ace hails from Wales, which you know the minute she opens her mouth and you hear her wonderful accent. Irrepressibly warm and funny, she now lives in more buttoned-down Canada. 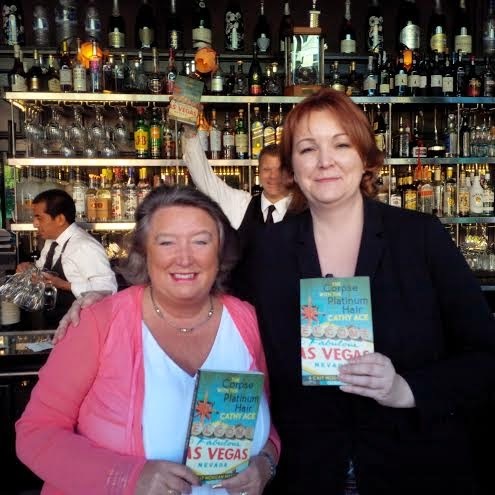 Where else would she set her latest Cait Morgan mystery novel but Las Vegas! 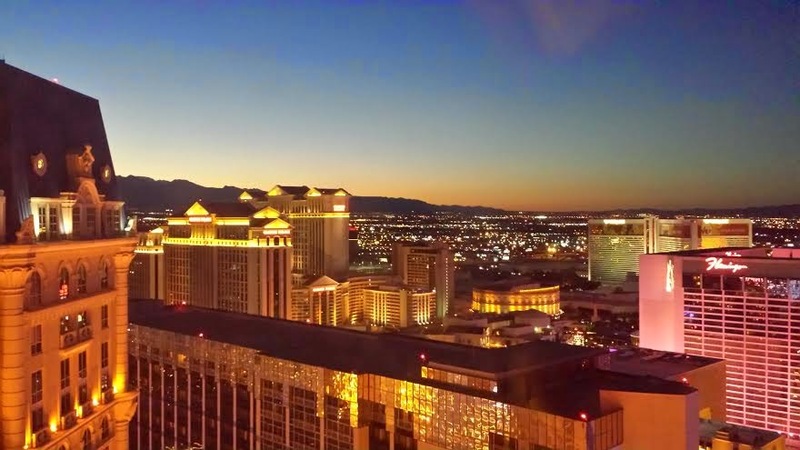 CATHY ACE: Las Vegas is what many would call the world capital of fakery. And I’m okay with that. In fact, I adore it. I embrace the falseness of it all, and thrown myself into its rhinestone encrusted arms as often as I can. 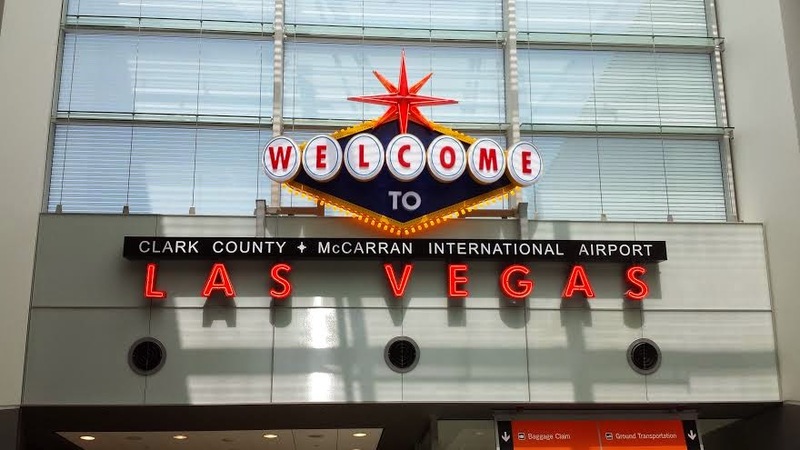 I know that Vegas is one of those places that has the ability to polarize opinion, but, ever since I first visited it about a dozen years ago, I have always felt “at home” there. I’ve been thinking about why that might be. I was a pretty solitary child, not one to have friends come to the house to play with me, I was just as happy to live in my own little world with my imaginary friend and pretend. I would put on plays and recite poems for my toys, I’d involve the grown-ups as stage hands. My world was populated by fictional characters from books, (Enid Blyton’s Famous Five and Secret Seven, or Nancy Drew, of course) and my own invention. As the years passed I spent a good deal of my time performing in choirs (being Welsh means that’s pretty much a given) or on stage in amateur dramatic or operatic productions. Both my mum and dad performed too, and even my little sister was involved. I was always surrounded by costumes, scenery, props, scripts, librettos, and rehearsal schedules. Pretending and dressing up was the norm for our whole family, and for those we mixed with. Maybe that’s why I feel so comfortable in Vegas. It’s one huge piece of theater. Every casino is a stage setting, every server wears a costume, and each visitor arrives ready to be swept up in the performance art of the place. Having visited on dozens of occasions over the years, I have come to know some of the folks who live and work there. It’s that idea, sharing the drama and the normalcy of the place, that I tried to convey in this latest book. It’s something that visitors to Vegas often miss—the human stories behind the costumes, and the make-up. Set in an invented casino themed on Tsarist Russia, with an opera diva, a dead casino owner with a Rat Pack background, and a collection of the sort of people one frequently meets in Vegas—so, eclectic—I wanted to bring some of the tales from “backstage” to the audience’s attention. You see, the place might be fake, but the people aren’t—they are real people, living what they view as normal lives. Growing up in a world where dress-up and pretend was just fine, and where I was happy to perform in front of the scenery, or stand in the wings and watch, means I’m right at home in Vegas. What about you? Is Vegas just too much for you to take? Are you uncomfortable at the thought of being pulled onstage to become a part of the performance, or would you be one of those throwing their hand into the air to volunteer to “help with the trick”? If you’re reading this I am guessing you’re a fan of fiction. So how far does that love of make-believe go? Happy to have it between the pages, but not to participate when it’s “real”? Or is the “faking it” of Vegas just fine by you? About Cathy Ace's latest Cait Morgan mystery, The Corpse with the Platinum Hair: Welsh Canadian foodie and criminologist Cait Morgan takes off on a short break to the fabulous Tsar! Casino and Hotel in Las Vegas with her significant other, retired cop Bud Anderson. But before they can start celebrating Bud’s birthday in style at the casino owners’ exclusive private dining room, the death of Miss Shirley — a woman with a colorful background and the acknowledged Queen of the Strip — results in a security lockdown. Cait, Bud, a corpse, and ten possible murderers are trapped in the luxurious restaurant for twelve deadly hours. The bodies pile up, the tension mounts, the list of suspects dwindles — and Cait knows she has to work out who within the group is an audacious killer because there’s no telling who might be next to die. Visiting Las Vegas is definitely like Alice falling into Wonderland or Dorothy waking up in Oz. It's truly a place of make-believe and, although I've been there several times over the years, it's not a place that intrigues me. However, it's a perfect place for a mystery and I'm looking forward to reading this Cait Morgan tale. I like Las Vegas. I remember the first time I was there. I was on a weekend adventure with my new boyfriend, Steve. I saw the lights from a distance and said, "What's that?" He made a quick turn in his P1800 and my roommate's brother became The Saint—my very own Simon Templar. That was that. SWAK… and we are still together. Great analogie, Joan. Or Dante descending? I used to really really hate it because of the cigarette smoke everywhere. Now I can get into the fakeness and tumult without choking. Hi, Reine! Had to look up P1800. I gather Jay Leno has one. Ditto "The Saint." Volvo that looks like Jag. Who knew? SWAK! Saving it to go with my other faves. ACK. and ICK. And UGH. Often found written in the margins of books. Hi Hallie! Jay Leno also has the jag that The Saint producers first wanted for Simon Templar. Jaguar turned them down, because they thought the show would be a failure! Ah, the many adventures I daydreamed back in the day--the Saint, that car, and me! I wouldn't do well in Las Vegas--all those lights and people and noise non-stop--but I like the analogy of the city as theater--perfect! Love theater, just always been on the backstage end of it. The cover of the latest Cait Morgan is a gem--will be finding a copy to add to my stack! I would really like to see the Cirque du Soleil shows in Vegas, though -- they look amazing, especially Eau. Has anyone out there seen them? Worth it? Oh, Cathy! I walked around LAs Vegas for about three hours--howling with laughter and with my eyes wide with wonder. What a bizarre and hilarious place. YOu can get anything you want at absolutely any time. Iw as first amazed, then baffled, then kind of ...disturbed. Then I decided it was pretty funny. Very Potemkin village, though, you know? And Hallie, to add to your collection: My beloved english teacher had a rubber stamp that said GUG. He'd stamp it all over our papers, with GUG apparently meaning "this is so terrible I don;t even have the words." Getting the GUG stamp. Not to be wished. But we did love him! Kathy, I do like Vegas (although I agree with Hallie about the smoke. So glad that's gone...) I love the theater of it, and it's a fabulous place for people watching. Reine, I love your story!! And it made me want to look up old episodes of The Saint. Susan, I've seen a couple of Cirque shows, although not in Vegas. They were absolutely stunning. You should make a chance to see one. I have to admit that I have yet to visit Las Vegas, but I'm betting that I would love the pageantry of it all. Like Susan, I'm a big fan of Disney World and soak up the ambiance of imaginative play with great enthusiasm. Key West is one of my favorite vacation spots due to its quirkiness and playfulness. I adore such events as Halloween at Busch Gardens, as I attended the one in Williamsburg, VA last year. I couldn't stop expressing my wonder and joy at all the great costumes and effects. And, yes, I am the person who loves being picked from the audience to participate, although I think I need to up my game to be chosen. I did snag a table in front of the stage at one of the performances at the Busch Halloween event, and one of the performers came onto our table and danced at me. Only problem is that I wanted to join him. Hahaha! I love theatrical productions of many sorts. This year I have season tickets to our local venue for Broadway musical shows. So much fun! Growing up I participated in local, hometown play productions, and for the life of me, I can't figure out why I didn't continue that into adulthood. After all, I am quite the producer of imaginary dances through the streets as I walk along. 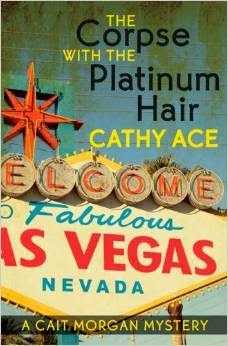 Cathy, your novel set in Vegas sounds most enticing. I will have to add it to my TBR list and wish list, too. Thanks for a great post! I've seen a lot of the Cirque shows, Susan, and I think I enjoyed "Love" the best - largely because I could sing along with all the Beatles songs. But they are all quite astonishing. I missed you at the ALA Conference in Vegas earlier this year Hank, by hours! I think my stint at the Sisters in Crime signing booth was a day ahead of yours, so maybe we passed each other at the airport? In any case, it was fun to see so many wonderful librarians wandering The Strip and having a hoot and a half! I suspect that 15,000 attendees at a librarians' conference shifted the balance a little even in a place like Vegas. Deborah, it's certainly a place where those who want to can, and those who wish to can avoid it....and that can be applied to just about everything (including smoking!) Glad you're another fan of the theatre of the place. Hi there Kathy Reel - it's always good to meet others who know the delight of theatrical performance, at any time or any level. You know, I did think about "doing it when I grew up", indeed, I even got myself a place at the Welsh College of Music and Drama in Cardiff, so, having passed the audition, I only needed to get two C grades at my A levels (end of school exams in the UK). I needed two B grades to go to Cardiff University to study English. As it turned out I was very surprised to get two A grades, so my parents thought it best to "get a proper degree", meaning the English was better than Drama. Oddly, I didn't graduate in either, but shifted to psychology, because I thought I'd enjoy studying why humans do what they do more fun than how people write about why humans do what they do! This was a fun post, Cathy. Thank you! I just read your comment above about your detour to psychology and realized I did a similar thing. Only with me I'd been working in theater in Boston and summer stock in the Midwest, when I decided to give a try at films. I did a couple. Then I met my gallant rocket scientist and decided to go back to college. I planned to transfer to UCLA and study acting, but my first semester at LA City College I took the mandatory psychology class and forgot about everything else except Steve. Sounds to me as though it's still an interesting journey for you, and the one you love, Reine. We can never be sure where a road might take us, so being observant as one travels is about the best one can do, I think. That, and trying to learn from what we see, so that we might be able to spot opportunities when they arise. A rocket scientist knight in shining armor sounds like the perfect traveling companion. Happy trails!